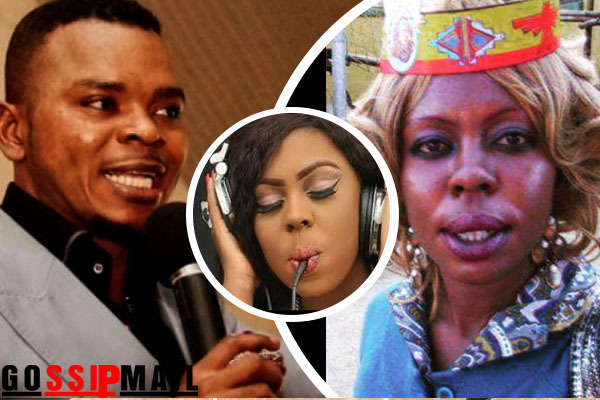 A very popular Prophet in Zambia has revealed the reason why top comedienne Afia has got an unprecedented mouth. Prophet Atinga Sumsum revealed months ago about the outcome of Ghana's election which came to pass. This therefore place him on a good position to reveal what God has for Ghana. "I was scanning through the internet when I came upon Afia's pictures. I went on my knees and cried to Baba and he said He gave her such lips to satisfy men". This heavy revelation which will later become a debate is unprecedented as we think God cannot give a person such a bad gift. Just few months ago, Afia was grabbed by her husband for sleeping with a Black dude suspected to be Balotelli. However, we are watching carefully to see what happens.